I made a rather tasty and healthy dessert yesterday. Jack was calling it cake cake cake after he had one! There was not an ounce of added sugar in it.If he calls something CAKE that means he thinks it is a deliciously sweet dessert. My son has his priorities. I made Frozen Stuffed Banana Sandwiches! The full recipe can be found at the link above the photo. But I only sort of followed it. Essentially I just cut up two bananas and a few strawberries, sliced them. Then I smeared a little all natural (nothing added whatsoever) peanut butter on the bottom banana. I use Krema peanut butter. Jack and I are huge fans of that peanut butter. 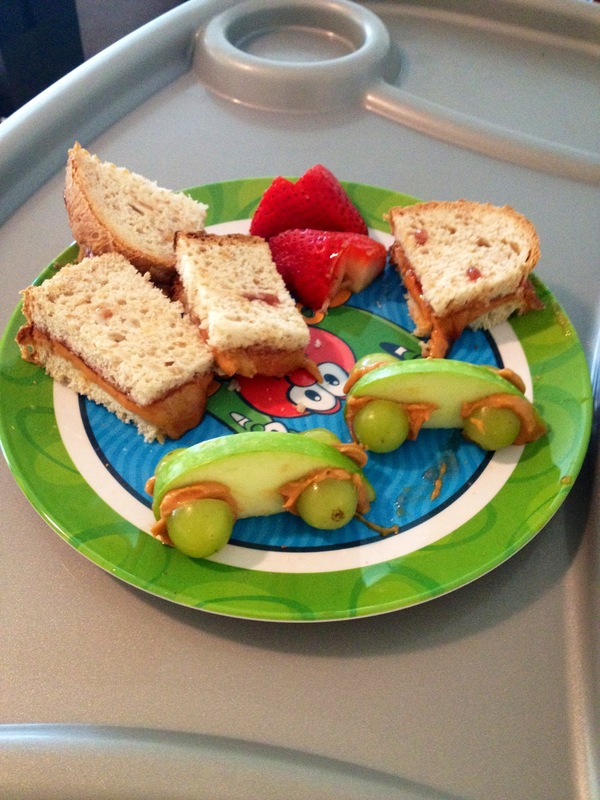 Then I placed a sliced strawberry on the peanut butter. I topped it with another banana slice. Then I poked a toothpick through. 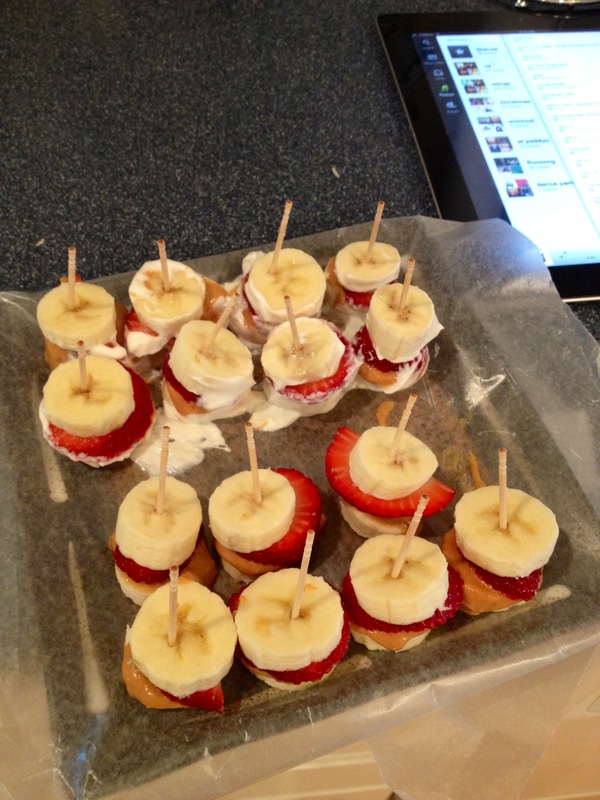 On half of them I rolled them in plain Fage Greek yogurt. I won’t add the Greek yogurt again. I didn’t try one of those but Jack had a plain one first and loved it. Squealing cake over and over. I ate the plain ones too. When he had one with the yogurt he wasn’t as into it. So plain for us it is! 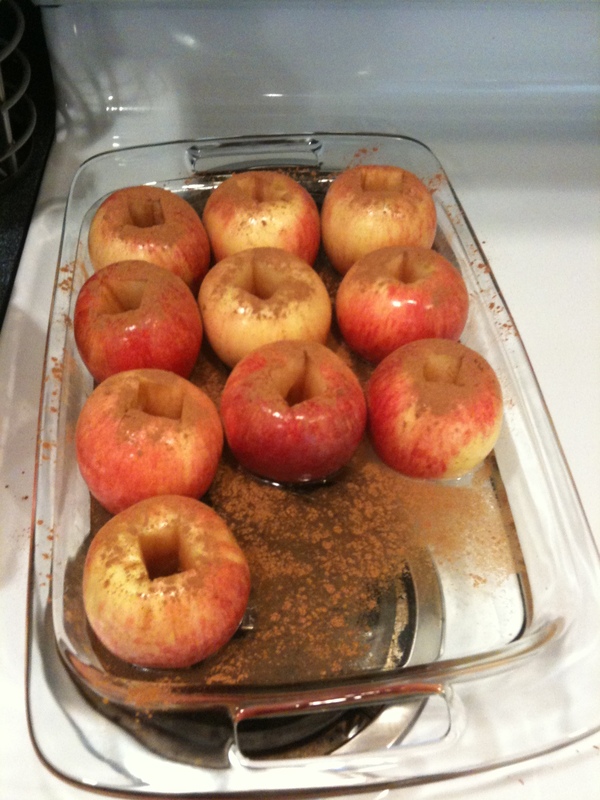 HOW SIMPLE IS THIS DESSERT/SNACK?!?!?! It took me less than 10 minutes to make. Maybe around 5 minutes. And now that I know how simple it is I bet I can whip it up in under 5! Jack had a hard time with the toothpick. I think I may use a larger stick for them next time for him. With a blunt edge and a little longer of a handle. He is only 16 1/2 months. But he did well. I was just worried about the sharp part poking him. 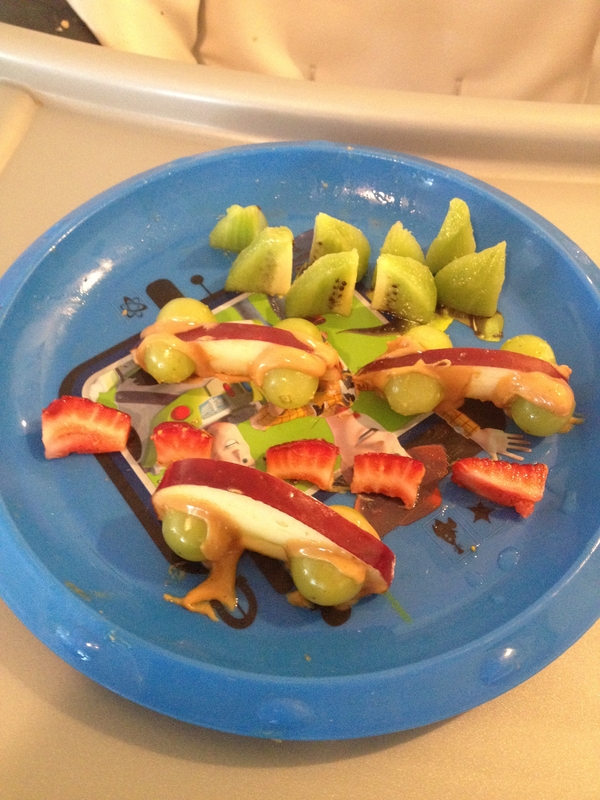 It is a great healthy summer snack. I hope you and your family enjoy it as much as ours does! I know a lot of my posts have been about toddler things lately. Not as many fitness ones. I promise I am still working out regularly. Still going to my Barre class. The one thing that has changed is I haven’t gone for a run in 2 weeks! YIKES! Part of that is the stomach issues I have been battling. Part is I have been enjoying the break from it. I was really pushing myself for a while with my runs. I was ready to try Wednesday and Thursday but it has been nonstop rain around here. Wednesday my hubby wanted to workout when he got home so I worked out in the morning. The elliptical has been my friend lately. Anyway. Back to toddlerhood. Trust me, running around after a 27lb almost 16 month old is a workout too. Also, he is a huge momma’s boy, which means I am constantly picking him up and holding him. The child knows how to walk and enjoys running but he really loves snuggles with his momma. 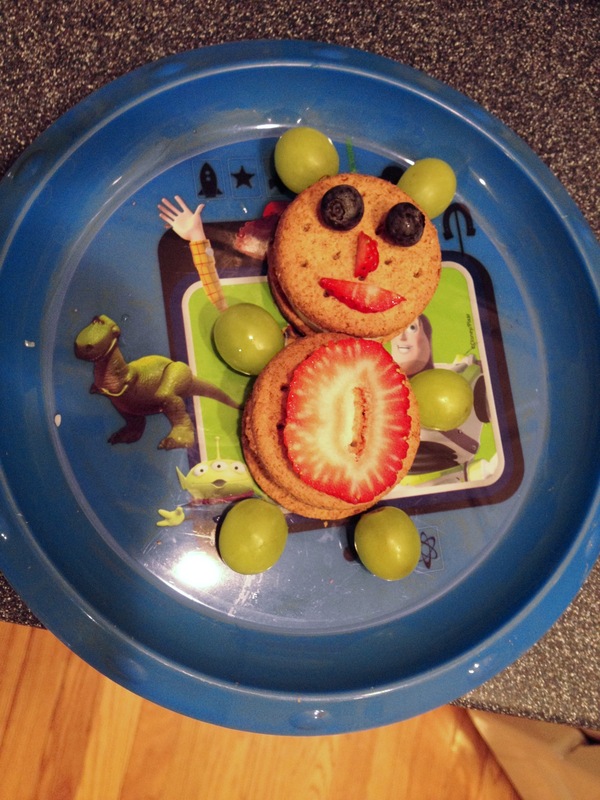 I have been having some fun with lunches. I enjoy making shapes and scenes and creatures for him. This one is a little older. I had spelled out Jack and he ate the C before I got the photo. Jack is obsessed with cars and vehicles in general. So I thought this would be fun for him to have cars to eat. I use all natural peanut butter. No added sugar, salt, or anything. Just roasted peanuts. It is YUMMY! That was my intention with this scene. He thought the green apples were a bit tart so I switched to red delicious apples. Looking back I should have used cheese for the lane markers! Next time! These were teddy bear cheese sandwiches. Whole grain crackers with cheese in between. I used a small circle cookie cutter to make a perfect circle of cheese. The rest was just decorated with fruits. Jackson promptly took apart the bear and devoured the cheese! He also was a big fan of the strawberries. The previous day he had been all about grapes. He is becoming more and more picky. Mostly he doesn’t like to try new things, especially if the texture feels weird in his hands. So I have been trying to have fun and make lunch time silly. When he saw the bear he got a huge smile. That made me happy. 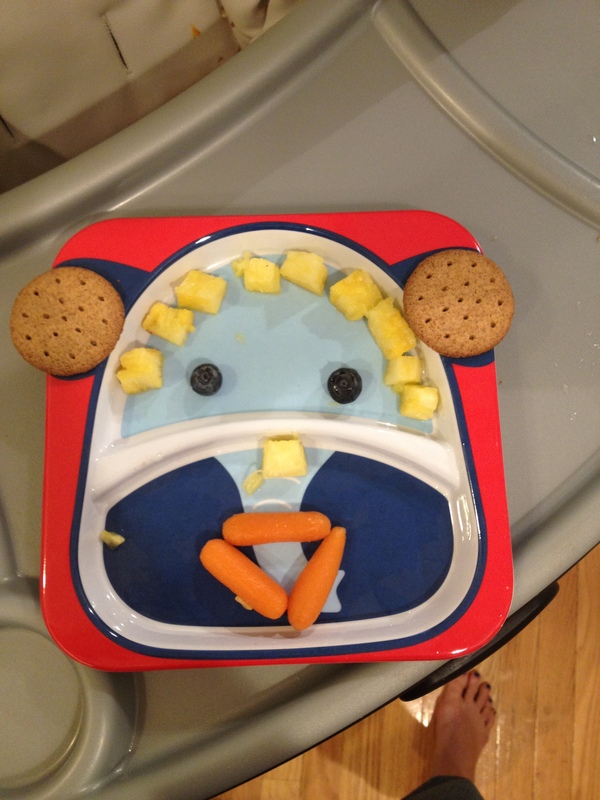 I will continue to share our adventures in toddler lunchtime. I am not sure what I will create today, but I will create something! I have a set of 101 cookie cutters, the creativity is endless. Today I decided to make some healthy homemade mac and cheese for my little man’s lunch. It was a hit! I have been working on expanding his pallet. Trying new flavors and combo. Today’ recipe I originally found through the Baby Bullet cookbook. I altered it a bit. I added spinach for added veggies and nutrition. Whole grain pasta shells. I used Barilla. They said a cup of cooked but I just guessed and sprinkled some in the boiling water. When the squash was tender I combined it with the cheeses, milk, butter, and sspinach. I pureed that all together to create the cheese sauce. I then put it in a small sauce pan to heat through. Only for a few minutes. When the noodles were done I combined it with the cheese sauce in a bowl and stirred together until it was all well coated/mixed. It looked a little greener in person, but you get the idea. As you can see below I served it with some strawberries. I didn’t hear much of a peep from him during the entire meal. He loved it so much. He was covered in cheesy goodness by the time he was done. Every time I looked at him he would just smile at me. That is how you know a man loves his meal, he is quiet and if you do make eye contact he smiles! I tried some of the sauce. I make a habit of trying the meals I make for him. That way I can understand his tastes and know if there is a reason behind his hatred for certain things! Sometimes I thoroughly disagree with his protests and sometimes I think oh yes, this is awful. This sauce was yummy. I think I am going to make it into a family dinner soon. 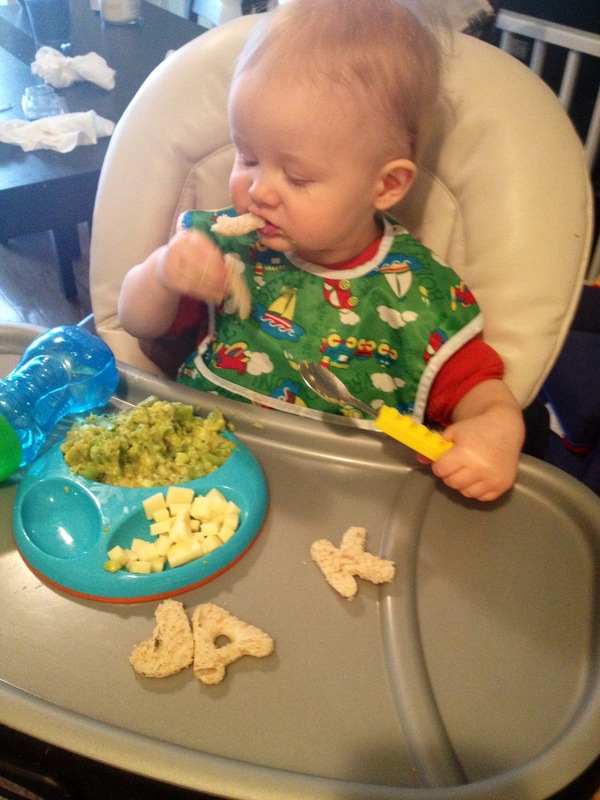 My hubby could use the sneaky veggies as much as Jack can! Have you ever had one of those days where you just had no desire to work out? I had one of those yesterday. I mean I wanted to workout because I always want to get one in. But when it came down to actually doing it I struggled. I tried a dvd and I found it boring and repetitive. I turned it off halfway through. It was annoying me and it just wasn’t fun! So then I tried to do some pilates and I got through about 3/4 of that workout. I probably did about 20 minutes total of workout. It wasn’t my best effort though. I finally just stopped and decided to shower. I didn’t go for a run because it was dreary out and rainy. I could have but then Jackson woke up late and only because I went and got him up. We had to be at a hotel at 12 to look at the room there for his birthday party. I don’t think I will be working out this morning. I definitely won’t be going for a run. We have something being delivered between 8-11 so I need to get in the shower soon and at least be showered before 8. If not, I possibly cannot take on until after 11! yikes! We may go for a run later in the day. If I am feeling more motivated. It seems that there was an ultimate reason. The lovely monthly gift has returned. This is the first time since I got pregnant! April 2010 was the last time. I was a little shocked this morning when I woke up. I guess my laziness yesterday is well explained. Well I was only lazy with exercise. I did an incredible amount of stuff. It was international talk like a pirate day. 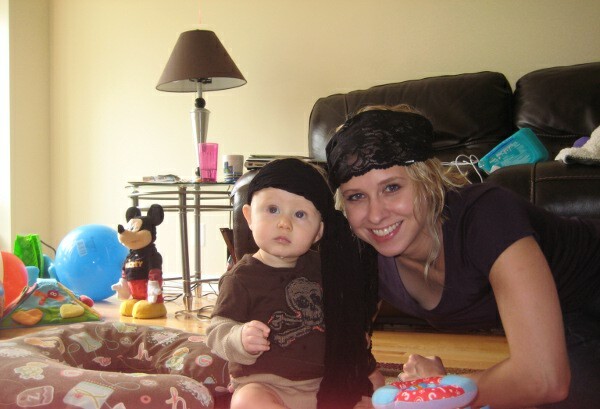 So Jack and I dressed up like pirates. 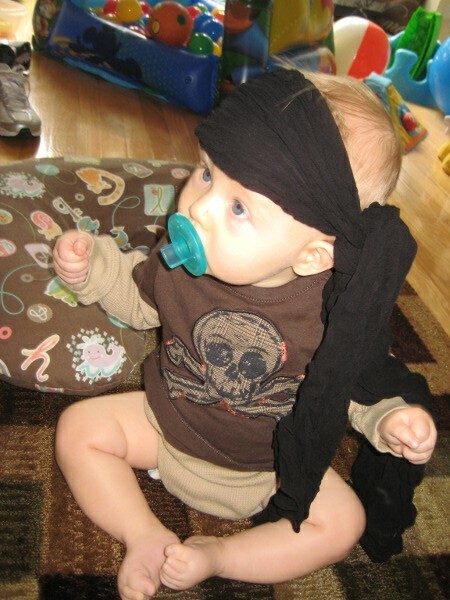 We watched one of his favorite shows Jake and the Neverland pirates. It was a lot of fun! Then we went to the hotel to look at the room. I like it a lot. I think we are going to use it. After that we went right to the grocery store. Did you know there is a shortage of canned pumpkin? It has been this way since 2 weeks before Christmas last year! I learned this while looking for some for a new pasta recipe. I spoke to the manager and he filled me in. Just a little piece of info in case you’re a big pumpkin recipe family this fall! I reorganized and cleaned out our pantry. That was much needed and well over due! It looks so nice now. I spent 2 hours cooking/preparing food for Jackson. It took that long because I had to keep stopping to do things with him. He wanted me to hold him or this or that. I kept telling him “I promise momma isn’t just sitting around doing nothing, I am making you lots of yummy food!” I made some chicken for him for the first time. He was not a happy camper when he ate it. It was no cheese experience! Then I started our dinner. My healthy take on Chicken Cordon Bleu, with sweet corn, and baked sweet potatoes. In between starting our dinner and finishing his food we sat on the couch and cuddled. It felt great. He watched the end of a show of his while I rested my body and eyes. Then when that was over we just goofed around together. Playing with his monitor, my camera, the remote, a paper plate, and one of his little play balls. The things kids love to play with! So while my exercise was ehhh at best the rest of my day was very productive. I am planning on a run this morning. I was planning on one yesterday but it didn’t happen. Jason locked my keys in the Xterra. Our jogger was also in the Xterra. I was stranded for a good portion of the day. Thankfully at home. I have decided to try a new running app. iMapMyRun+ It looks really neat. It was time for an upgrade. I was using this very basic and archaic app. Lately I have noticed significant differences in the mileage from the same exact route! I have had it and I want to track things a little more accurately. I am really excited to use this, so I hope we get to go for a run. The last time we ran, which was Friday, Jackson had a fit during the run. It turned into a walk. I also ended up having to hold him and push the stroller home. At least I was carrying about 18lbs of baby, right? I have begun using my new DVD. I tried it yesterday, one of the workouts. I enjoyed it. It was challenging. I have not used all of the options yet so I am not going to write specifics. I will save that for a review. So far it is looking food. I am very happy with the amount of arm work. 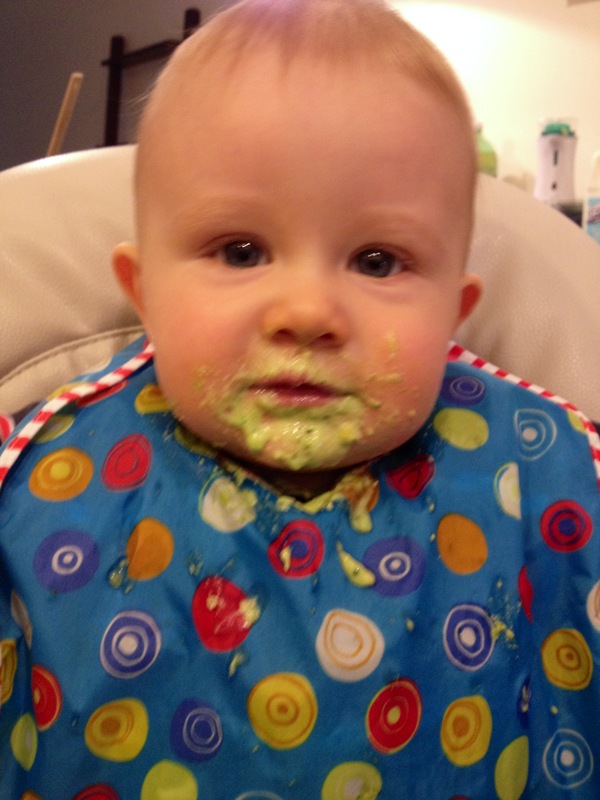 I tried a new baby food recipe yesterday. I just put it all together for Jackson and it was a hit. 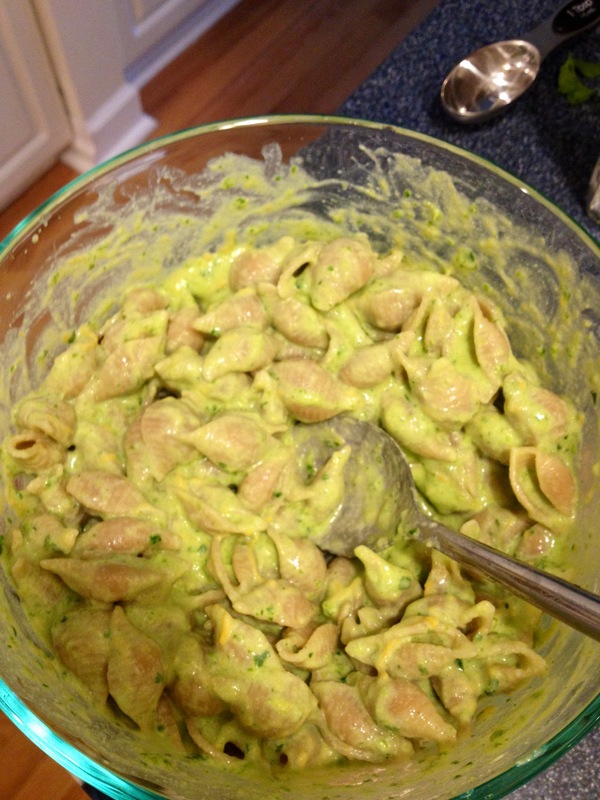 It was 4 tablespoons of cantaloupe, 2 tablespoons of nectarine, about 1/2 of an avocado, and 2 tablespoons of yogurt. He absolutely loved it. We went Sunday football snack shopping on Sunday before the Bears game. I also picked up some fruit for Jackson and myself while we were there. I made salsa too. The cashier commented “you guys are a really healthy family!” What a nice compliment! We are certainly not perfect. Really only Jackson eats a perfect healthy diet. But I really try to make sure that Jason and I eat healthy 90% of the time. I try to cook each night and make healthy decisions. Sometimes hearing it from other people is just a nice sound. I hear Jack man, time to go get my precious little man! Jack man is becoming quite the little foodie. I am fairly certain all of his favorite foods are orange/yellow foods. 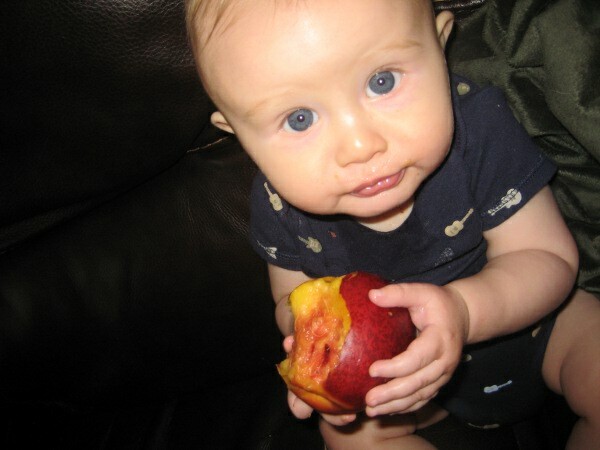 Check out him eating a nectarine for the first time. I was munching on it while holding him and he kept trying to get at it, so I thought, what the heck I will let him have a taste. The nectarine was bigger than him! The photo does not do his reaction justice. The video is much better. But he loved it and was fascinated by how delicious it is. He also loves cantaloupe and sweet potatoes. These three are his favorites. Each time he tried these three foods he did not turn away. He instantly loved them. Everything else, it took a few times of introducing it for him to enjoy it. So that is how we know he actually loves it. We are huge fruit lovers and he is very clearly our son. I don’t think I am going to ever have a problem getting him to eat his fruits. I am very excited about this. Last night was a night my hubby has been counting down to. He is from Wisconsin and loves loves loves cheese. And that is still an understatement. Jackson tried cheese for the very first time. Melted in his sweet potato, green bean, and yellow squash meal. I had some shaved Parmesan and decided to throw it in his meal. It was nice and melted. mmmm I tasted it and I thought it was pretty yummy, like a veggie casserole! It may have inspired me for a new side dish. Jackson liked it. I will put some more in there tonight. It has been beautiful running weather lately. I have been enjoying getting out in the morning for a refreshing run. I bought the cover for my jogger that keeps him warm and dry in poor weather. He doesn’t care to be all bundled up. It is going to be a long winter. I hope this mild weather sticks for a couple months and the cold stuff stays away until at least December. Tomorrow we start swim lessons. As of this week our schedule becomes bananas. Monday we can attend Baby bistro, Tuesday is free, Wednesday swim lessons, Thursday Gymboree, and Friday Play Tots. 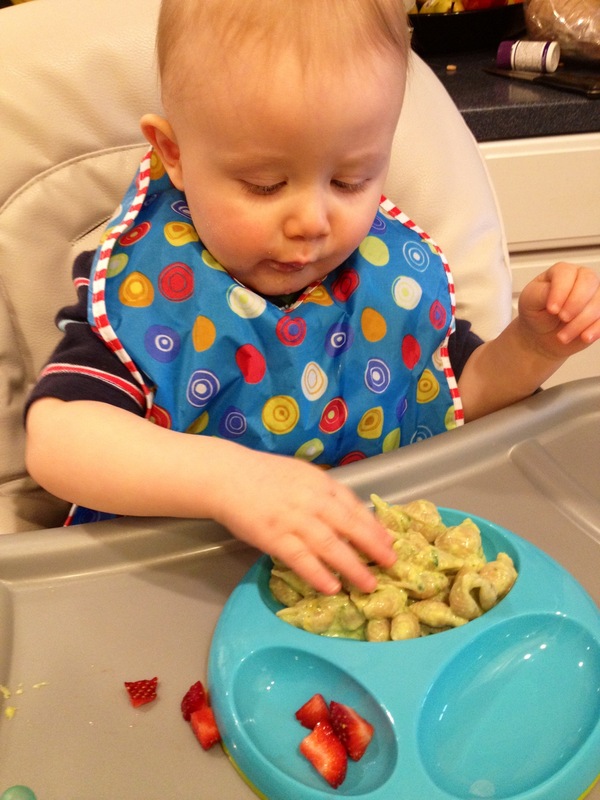 Both play tots and baby bistro require no registration or payment so those are just depending on how our day goes. I start school again in 2 weeks tomorrow. I have a BA in History from Loyola University Chicago. I got pregnant shortly after Graduation. I always knew I wanted to stay home with our baby, so it was easy for me to just do that. I didn’t have a job yet to leave. I have decided to take some photography classes online. In case I ever want to take some photos part time here or there down the road. I have been encouraged by my mom and mother in law and I finally decided to just try. I have loved photography since high school. I have taken a couple courses in the past but all were film classes. The classes I found are all digital. I am excited. Even if it just improves my skills for taking photos of my family and friends! It is something I enjoy and I am finding time to do something for myself. Our fall and winter are going to be busy! I am excited though. Don’t forget to follow me on Facebook! I have been posting fitness, health, and diet links there as well as my blogs. Sometimes with time constraints it is easier to share shorter blurbs there!